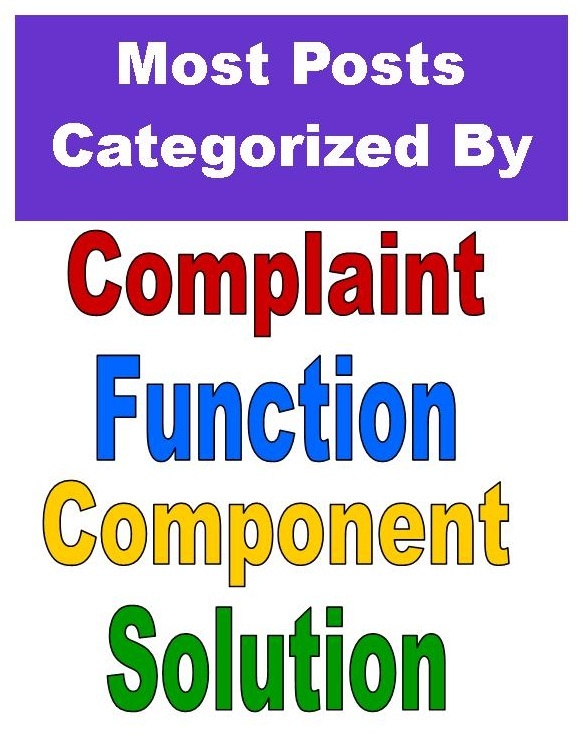 Categories used for this blog center around four core ideas: complaints, functions, components, and solutions. Most posts are categorized by these ideas. Frequent concerns leading to a home performance assessment, including a home energy audit, include high energy bills, mold, damp basements and crawlspaces, cold floors, drafty rooms, dust, window condensation, ice dams, peeling paint, hot or cold rooms, dry air, pests, and difficulties breathing. Houses are supposed to healthy & safe, long lasting, comfortable, and energy efficient. Such a house manages 3 core functions well: indoor air quality, moisture control, and heat transfer. Seven major engineering systems that work together to manage the functions: structure, plumbing, electricity, mechanical (heating, cooling, & ventilation), fossil fuel, storm water drainage, and thermodynamic (heat transfer). Houses are built in assemblies of components to form parts of engineered systems: walls, floors, ceiling, roofs, windows, doors, foundations, heating & cooling systems, etc. Many existing houses have issues with the 3 core functions because they weren’t considered properly or completely when the house was built. Typical solutions include air sealing, duct sealing, insulation, combustion safety, ventilation, drainage, vapor management, heating & cooling system sizing, pressure balance, and window shading. Visitors to this site come looking for solutions to problems with components of a house. Therefore the categories focus on the 3 core functions, components, and solutions. However, tags are used extensively as another means of linking posts together. Cold Floors: Concerns about cold floors in the winter time. Indoor Air Quality (IAQ): Air conditioned for breathing by removing or limiting air pollutants such as dust, smoke, odors (including volatile organic compounds (VOCs), mold, bacteria, water vapor and other gases, such as radon, carbon monoxide, and soil gases. Moisture Control: Keeping unwanted water out of and away from the house, ventilating concentrations of water vapor, and controlling the flow of water vapor. Attics: Unoccupied areas above living space and below roof decks. Crawlspaces: Short, unoccupied areas below living space and below floor assemblies, usually above a dirt floor. Can be considered as a mini basement. HVAC: All the components of heating, ventilation, and air conditioning systems, including equipment and ductworkSlabs: Normally a concrete foundation and floor assembly under the first floor of the house or garage. Also used to represent the concrete floor of a basement or crawlspace. Walls: Exterior walls and any walls forming part of the shell. Air Sealing: Sealing holes in the air barrier, usually the ceiling, interior walls, and floor. Combustion Safety: Properly installation of and smoke removal for fossil fuel appliances, such as gas furnaces, water heaters, ovens, stoves, and fireplaces. Drainage: Shedding rain and ground water away from the house, and draining rain that gets past the roofing and siding–into the house. Duct Sealing: Sealing all the ductwork of an air distribution system: air handler, plenums, distribution boxes, ducts, register boots, and entrances through walls, floors, and ceilings. Equipment Sizing: Modeling energy characteristics of and designing ductwork for the house to choose the smallest heating & cooling system an build the best air delivery system for the house. Pressure Balance: Adjusting the inside of the house such that pressure differences created by fans do not adversely affect the performance of the house, including its appliances. Vapor Management: Controlling vapor levels inside the house coming from sources inside and outside the house, as well as avoiding condensation. Click to subscribe to this blog and receive notifications of new posts by Outlook, Bloglines, My Yahoo, Google, or your own application.